Tres speciale NOLA chef John Besh describes a grillade as a traditional beef or veal round cut into a square and then pounded thin to be tender. Beef round is the most suitable cut for this dish, he says. I’m sure every restaurant has its own take on grillades, but this one is mine on Besh, which one can expect is delicious. Merci, chef. 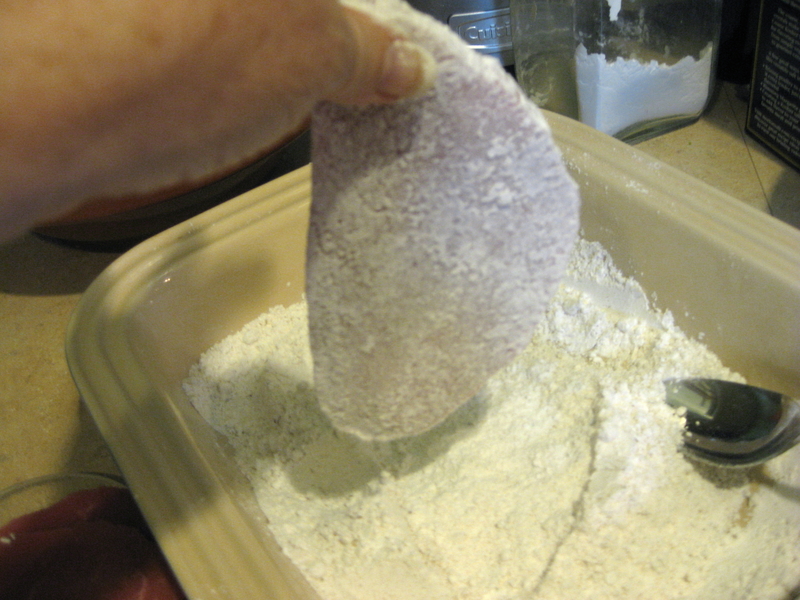 Place meat cuts between sheets of plastic wrap and pound a bit before you dredge in flour. I didn’t and am sorry for the mistake. Also, unless you have a very large skillet with a lid, I recommend browning the meat in your best regular size skillet, cooking the sauce in a large dutch oven and then transferring the deglazed contents (using a cup of the beef broth) of your meat skillet into the dutch oven. This sounds like trouble but it’s only one more pot to wash. It also will mean you are more likely to get your meat to brown nicely, instead of just cook in the deeper dutch oven (another of my mistakes). I also reduced the “heat” ingredients too much but bumped them back up slightly in this recipe. Live and learn. One other suggestion: Get everything diced and sliced before you begin. Much less chaos and a much neater kitchen. 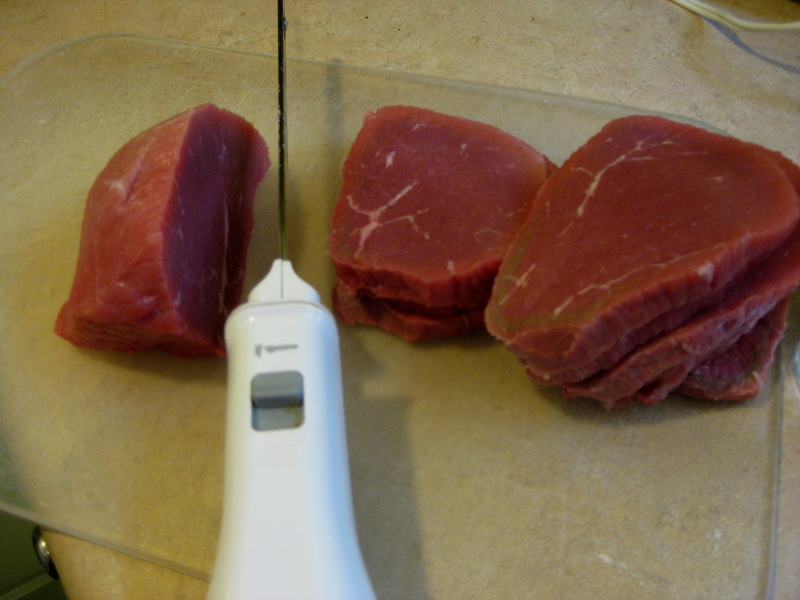 Slice meat into 1/2-inch thick pieces. Place each between two pieces of plastic wrap and pound briefly into a thinner, more tender piece. Season the beef with salt and pepper. 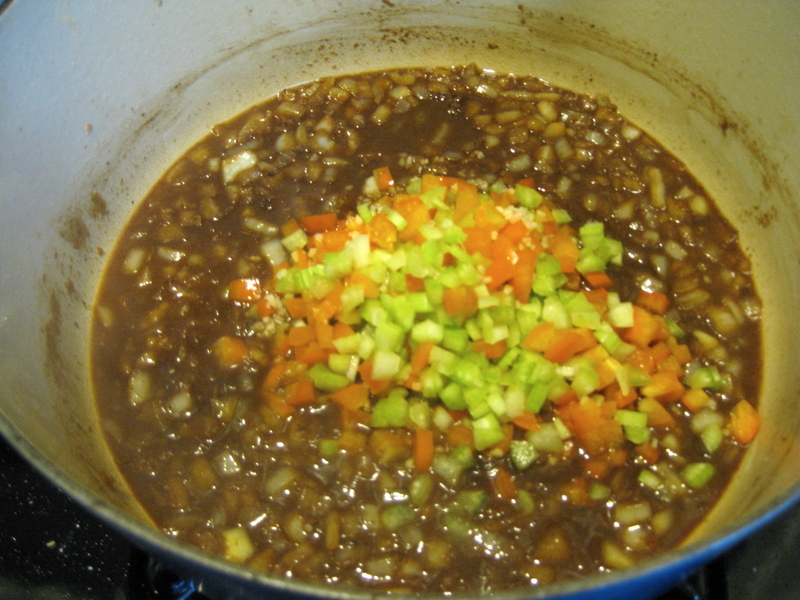 Season the flour with the Creole spices, and reserve 1/4 cup. 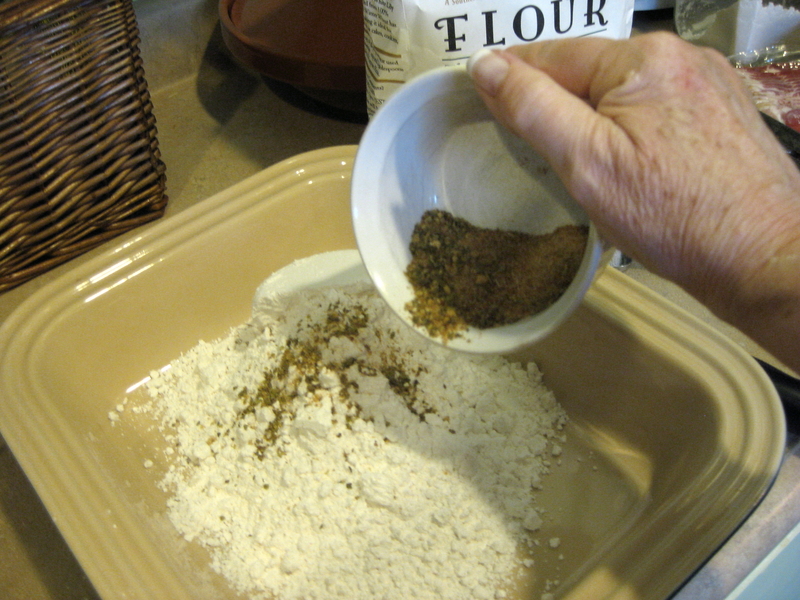 Put the remaining 1 3/4 cups flour in a large, shallow bowl, and then dredge the beef in the flour (that means place the meat into the spiced flour and coat all over), shaking off the excess. Set the coated beef onto a baking sheet. Heat the bacon bits/rendered bacon fat or butter in a skillet over medium-high heat (If you’re using butter, you may want to add 1/4 olive oil to lessen the possibility this will burn). If you’re cooking bacon, lift it out when it’s brown and reserve. 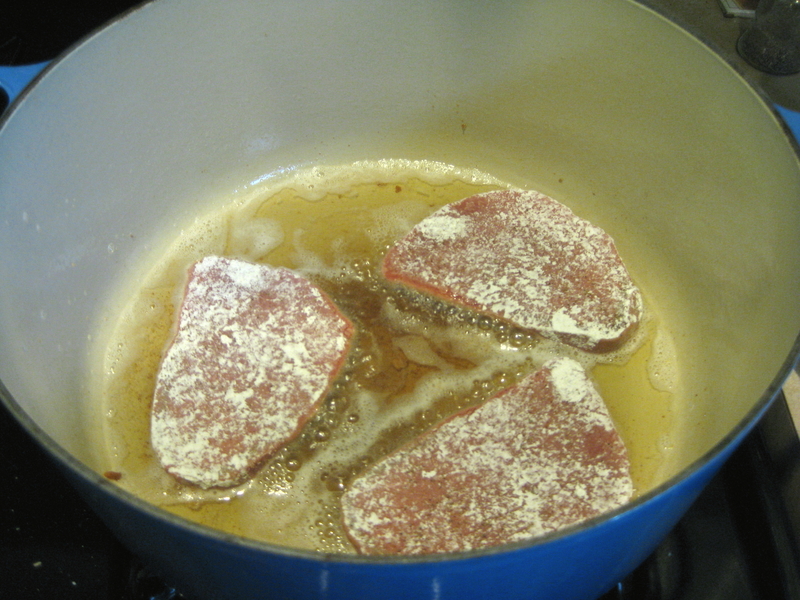 Cook the cutlets until golden brown, about 2 minutes on each side, making sure not to overcrowd the pan. You may need to cook in batches of 3-5 at a time, depending on the size of your pan. If the meat is too crowded in the pan, it will steam and won’t brown properly. Set aside the cooked cutlets on a paper towel–lined plate or footed metal cooling rack. Into skillet, pour 1 cup beef broth and deglaze and scrape skillet (which loosens all the fried stuff from the pan bottom). (If you’re using a dutch oven, here’s where that part starts.) 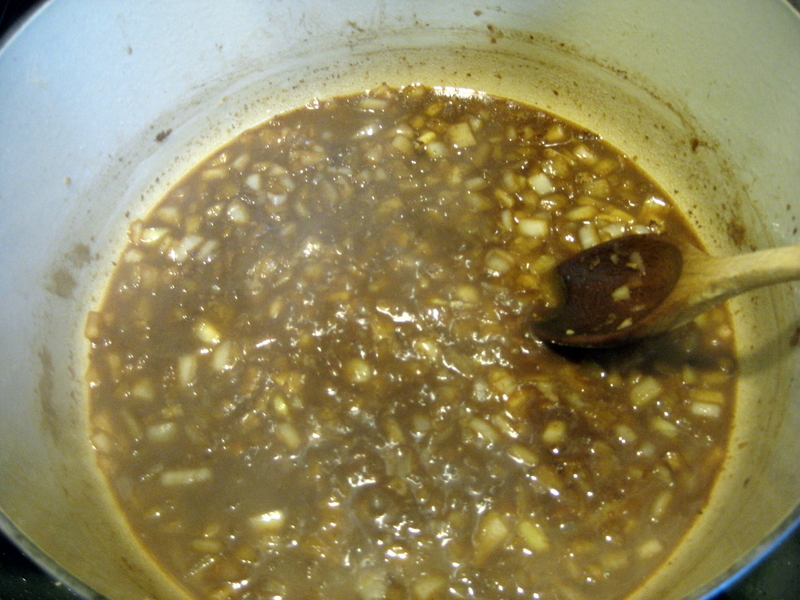 Add the onions (and pour in the skillet mixture), lower the heat to medium, and cook until, as Chef Besh says, the onions are a deep mahogany color, about 10 minutes. Add the celery, bell peppers and garlic, and cook for another 5 minutes. Add 2 tablespoons of the reserved seasoned flour to the pan and mix well. 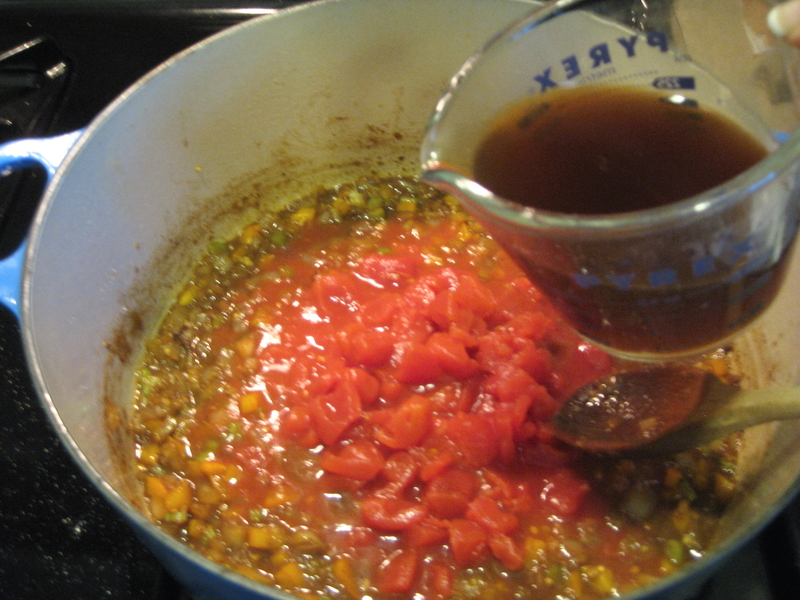 This little roux will thicken the sauce. Stir in the tomatoes and beef stock to the pan and bring to a boil. Reduce the heat to low and stir in the thyme, red pepper flakes, bay leaf and Worcestershire sauce. Return the beef cutlets to the pan. 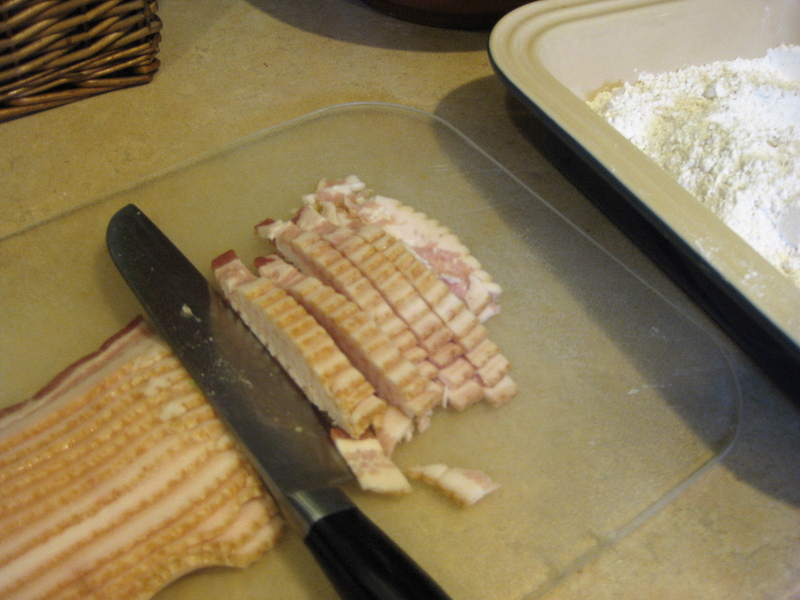 Add cooked bacon bits. 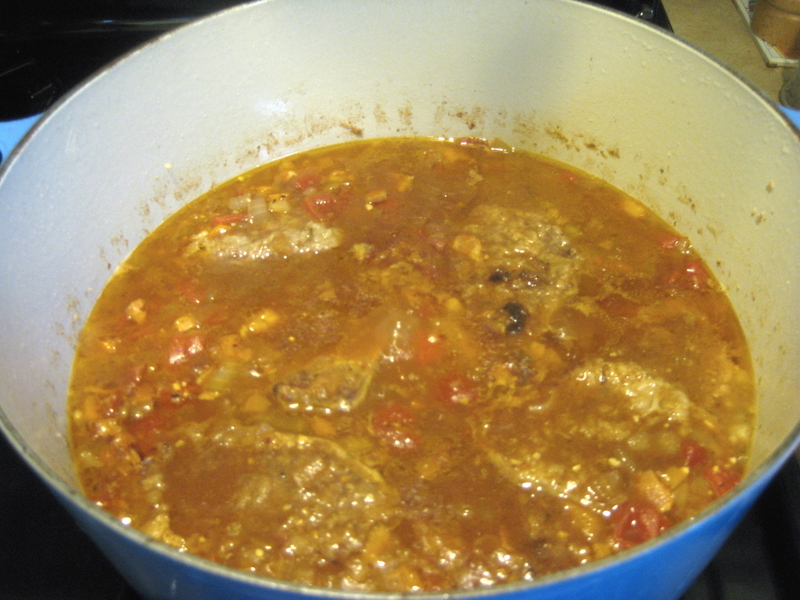 Cover and simmer 45-60 minutes, or until the meat is fork-tender. Discard the bay leaf. Add hot sauce to taste and more salt and pepper as desired. Serves 6-8. Serve individual plates from the stove or use chafing dishes or large serving dishes for guests to serve themselves. 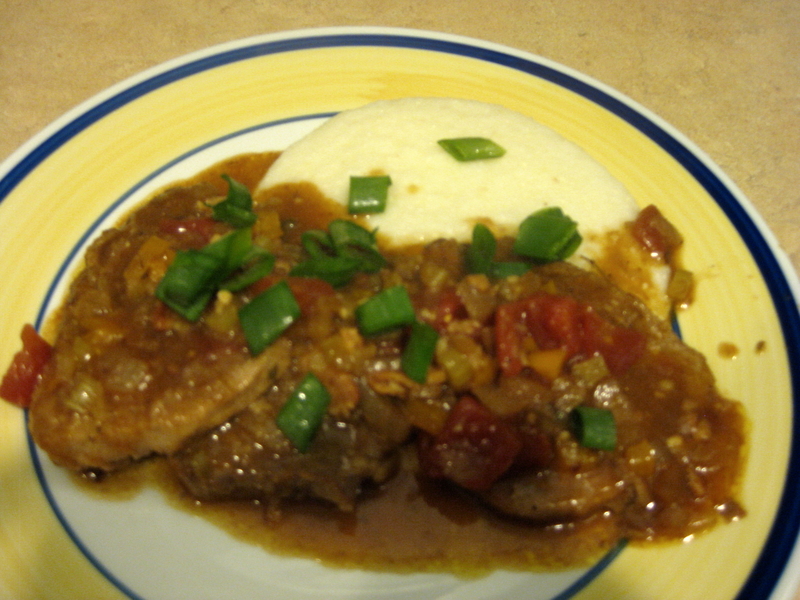 If you’re serving from the stove, first pour the grits on the plate, then mound 2-3 grillades onto at least half the grits, top with sauce, then sprinkle scallions on top. 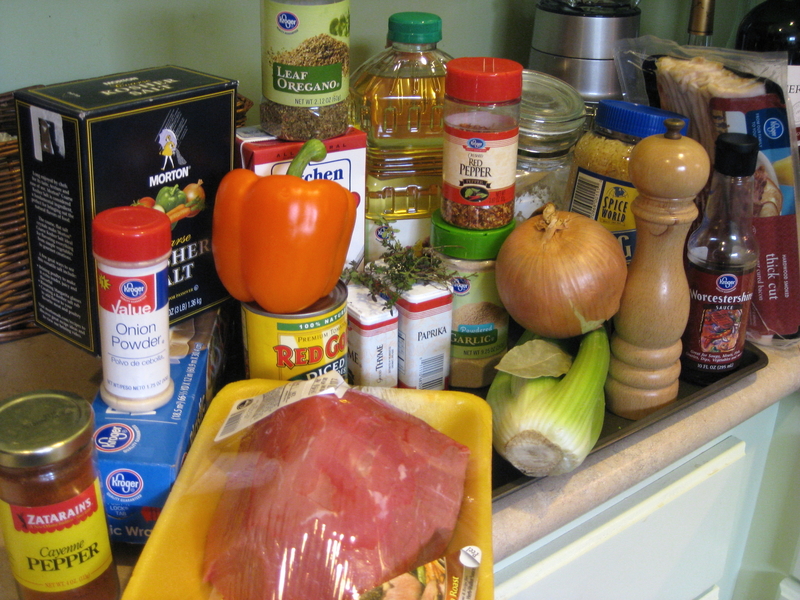 * If you use faster cooking grits or polenta, follow the cooking time on the box. Just don’t use “instant” grits – it is gross and never the choice of any respectable cook. For stone-ground grits: In a large saucepan over high heat, bring 5 cups of salted water to a boil while slowly whisking in the grits. Reduce the heat to medium low; cover and cook for 25-30 minutes, stirring occasionally and making sure the grits aren’t sticking to the bottom of the pan. Adjust the heat to low if the grits are cooking too quickly. Remove the cooked grits from the heat and stir in the butter, mascarpone or cream cheese, and grated cheese. Season with salt to taste and serve warm. 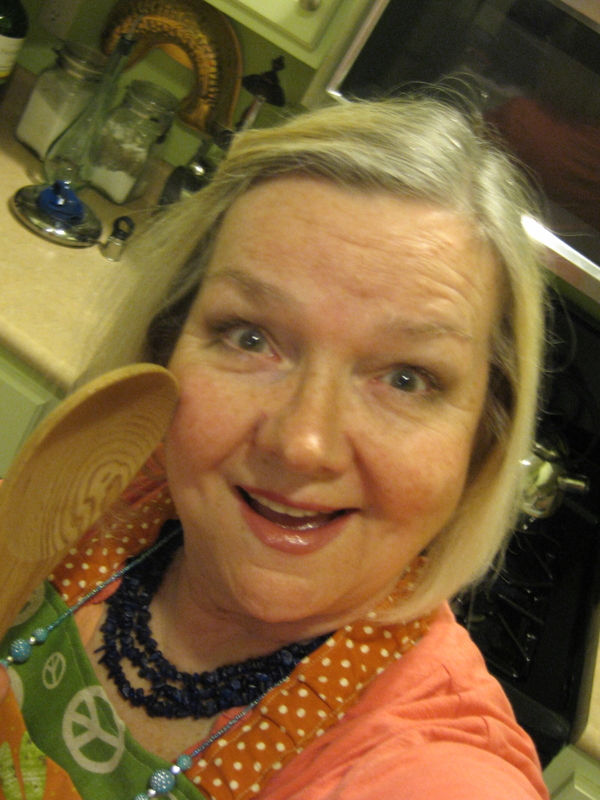 Come back every Wednesday for “Southfacin’ cook” at New in NOLA for Patsy’s basics to Southern cooking and eating. Contact her with suggestions, questions or requests at patsy.brumfield@gmail.com.